World Environment Day | iiaa Ltd | The UK and Ireland distributor of Environ Skincare, jane iredale makeup and Advanced Nutrition Programme. World Environment Day occurs 5 June every year, and is the United Nation's initiative which encourages worldwide awareness and action for the protection of our environment. This year’s theme is the fight against plastic pollution. We are proud that our Advanced Nutrition Programme™ Pots are made with 100% recycled material. Did you know you can also find some others uses for them? 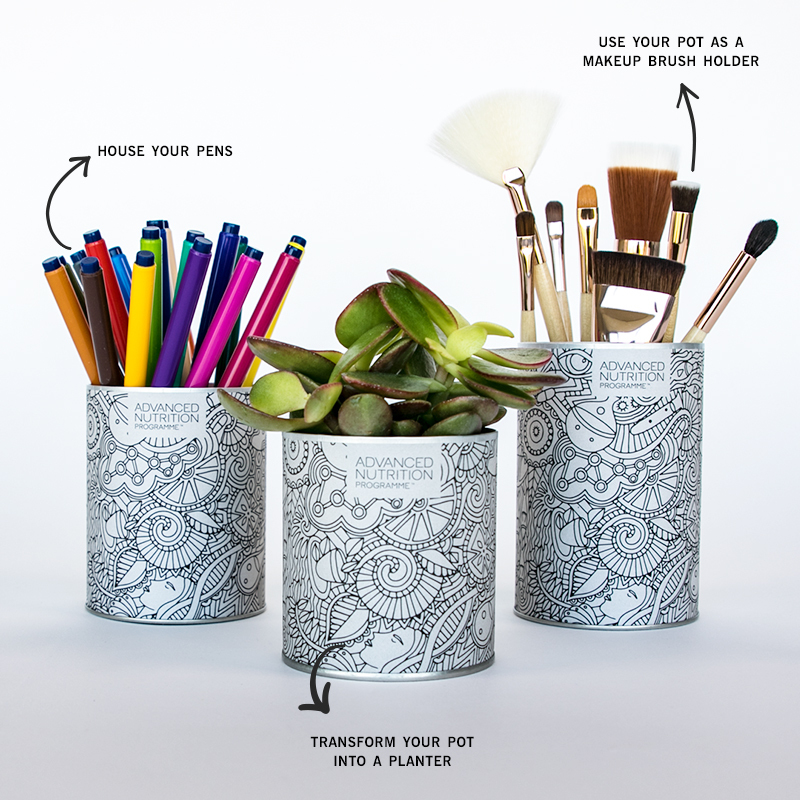 Why not encourage your staff and clients to reuse their pots around the home.